We Are Women. We Are Here. “There shall never be another season of silence until women have the same rights men have on this green earth.” – Susan B. Anthony. With the recent Women’s March’s having an inspiring turnout of over 5 million people, it is no secret that even in 2017 women are still fighting for equal rights in society. Although we as a whole have progressed, we still have barriers to overcome. Do you desire to make a difference in your community? No matter who you are or where you’re from, you can be a catalyst for change with even the smallest idea, activity, or movement. Check out these easy ways you can become the change we want to see in our nation! Be the Voice. Too often we as a community hope for change, but don’t speak on the change we wish to see. Write your senators about issues that concern you. Join a support group for your cause. 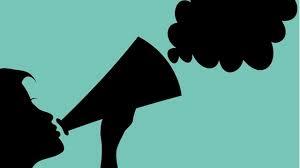 Be an advocate for individuals who may fear to have speak for themselves. Take Action. You’ve become the voice for change, but now it’s time to take action. Participate in a peaceful protest. Join an organization that supports the movement. Start a blog. Donate to organizations that support the cause your fighting for. Start a fundraiser or campaign of your own. Stay updated with the issues that affect your community by participating in local government. It’s incredible if you believe in the message of any movement such as the Women’s March, but you must go home and do something with that passion to create any change. Support One Another/ Be Kind. With the challenges facing our communities growing as each day passes, we must remember to support our fellow citizens and be kind to one another. You would be surprised at the impact you can have on yourself and others, just by taking time to get to know someone that is different than you. In a time such as this, it is imperative that we work to spread love, support, and knowledge. Join us in our mission to empower women, eliminate racism, and promote peace, dignity, freedom, and justice for all. 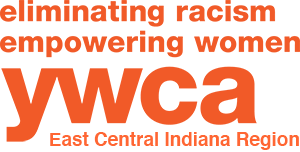 Send your contact information to kwissel@muncieywca.org to keep up with how we are changing this community.